PLEASE NOTE: All Pergola Styles & Sizes Vary - This is an approximate price only, please contact our sales team for a quote. 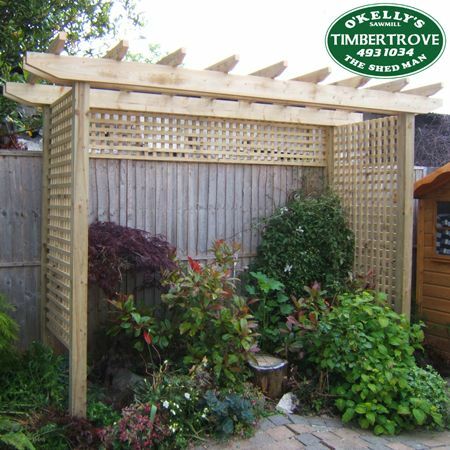 Timbertrove's made to measure Pergola will bring beauty to your garden. Manufactured in the Dublin Mountains with pressure treated timber, this product is long lasting and low maintenance. 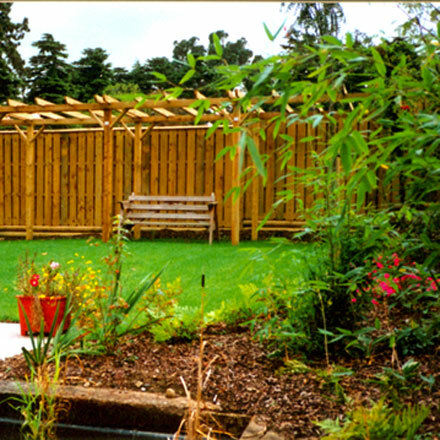 Our Pergola is a natural timber colour as standard. Add colour to your pergola with our range of Cuprinol Garden Shades. The product can be custom made to suit your requirements, please contact our sales team for a quote. IMPORTANT DELIVERY NOTE: Currently we offer delivery of this product to the greater Dublin area only at an additional cost or you can collect your order from our premises. 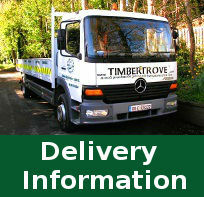 If you are interested in having this product delivered outside of the greater Dublin area then please call us for a quote on 01 493 1034 or email us sales@timbertrove.com.